Today is That Bookish Girl's stop for Megg Jensen's Oubliette tour. Oubliette is the second book in Jensen's Cloud Prophet Trilogy. Megg has stopped by before, during Indie Reads Appreciation Week. If you guys missed her fabulous guest post, I highly suggest you check it out. 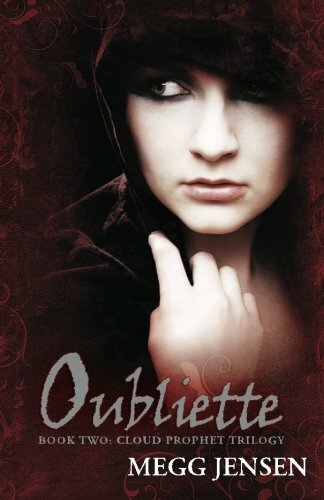 Anyways, be sure to follow the Oubliette tour (There is an awesome interview with Megg posted at Sticking to the Story & an guest post / giveaway at Magical Urban Fantasy Reads) and enter in Megg's Contest of All Awesomeness - she's giving away some awesome prizes in celebration of the launch of Oubliette. Description: Reychel thought she was finally free. She was wrong. Everyone saw her gift of prophecy as a blessing, but her gift is uncontrollable. No one alive can teach her to manipulate her unique gift and the answers she needs lie buried within a madman’s journals. She’s thrust in the midst of a brewing war and the only uniting factor for her people is their belief in the Prophet. Will Reychel learn to control her gift or will she be forced to deliver a false prophecy that could lead her people into a violent war? Alright guys. So I liked Anathema. I loved Oubliette. In Oubliette, we are introduced to an array of new characters that bring a ton of excitement and mystery to the series. The only characters from the first book that make a significant appearance in the sequel are Mark and Reychel. This means that Jensen relies heavily on the new additions, which thankfully are a lot of fun. My particular favorite is Krissin. Krissin is the daughter of Nemison and she is an absolute spitfire. Like Reychel, the reader doesn’t quite know what to make of her. Is she a friend or a foe? One thing is for sure, she is undeniable. Krissin brings a new energy to the book, she is extremely powerful and isn’t afraid to let people know. She was also incredibly dynamic – something that a lot of the characters were missing in Anathema. I feel readers will either love Krissin or hate her, but they certainly won’t forget her. In Oubliette, Reychel’s story obviously progresses, but not in the way that she (or the reader) had imagined. Jensen packs this sequel full of twist and turns and manages to make a story about a prophecy surprisingly unpredictable. The story also makes a change in setting (as well as supporting cast) when Reychel relocates to the Southern Kingdoms. Here she is thrust into a political world that she is unaccustomed to and she must race against the clock to get control of her powers. This creates a huge sense of urgency in Reychel and she is forced to grow up quickly. She has no one guiding her decisions and she really comes into her own over the course of the book. She still relies on people, but she begins to understand that sometimes she needs to do things on her own. I have to say that Jensen did a marvelous job with pacing. Honestly, I got so incredibly wrapped up that I forgot to take notes or bookmark any quotes. In fact, I had hardly anything prepared for this review and I had to return to the book to get my thoughts into order. Seriously guys, this hardly ever happens. I always have something to work with – especially with ebooks. It is just so easy to hit the bookmark button - that is unless you are so involved with things that you completely forget. That's why I only have two quotes, one from page 7 and one from 11. After that, I was just in the zone. Oops. With Oubliette, Jensen sets the stage perfectly for the trilogy’s conclusion. She gives us a core cast of characters (Reychel, Krissin, Mark and Ace) that are enjoyable, unique and dynamic and will easily carry the story. This is what I felt was missing from Anathema, the story was exciting, but there wasn’t a huge character connection. 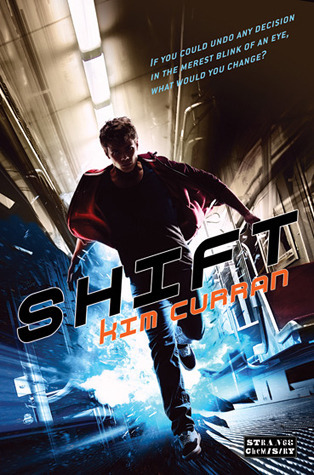 There were characters that I enjoyed, but they weren’t exactly fleshed out. Now with these four, Jensen has remedied the situation. I am hoping that in the series conclusion, the complete cast (the Northern Kingdom crew and her new Southern Kingdom possy) will merge together and we will get to learn more about the Northerners. At any rate, Jensen has hit a homerun with Oubliette. The characters are top-notch, the writing and pacing is superb and the storyline is exciting and thrilling. I cannot wait to get my hands on the trilogy’s conclusion; I hope it is simply half as good as Oubliette. I wanted to hate him. But I couldn't. Love didn't die in the moment of betrayal. Like a flower at night, it only closed its petals, waiting for the sun to shine on it again." "I traveled through the portal, but I'd lost my heart on the way." What a different title...at first I thought it was in a different language! I'll be on the lookout for the first book!